When considering any surgery, you want to have confidence that your surgeon has the qualifications for the task. Dr. David Hayes is considered a leading expert in rhinoplasty (also known as a nose job) and he performs more of these delicate surgeries than any other plastic surgeon in the area. As one of your most prominent features, your nose has a significant ability to alter the appearance of your face. Its shape, length, width and proportions all combine to give your face its unique structure and character. Dr. Hayes recognizes that the diversity in nasal anatomy requires that the surgeon be versatile in multiple techniques. Rhinoplasty is complex because the esthetic goals must also coordinate with the functionality of the nose itself. Soft-tissue variances and the complexities of cartilage make each nose comparable to a unique work of art. 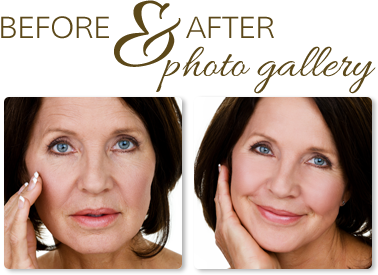 Dr. Hayes uses his trained eyes and hands to create symmetry and balance to the nose so that it is proportional to your entire face. And because he’s board-certified in both facial plastic surgery and otolaryngology (ear, nose and throat specialty), you can feel confident that whether the surgery is for personal enhancement, resolving prior issues or to correct a condition, Dr. Hayes has the experience and recognized skills necessary. Rhinoplasty can reduce or increase the size of your nose, change the shape of the tip or the bridge, narrow the span of the nostrils, or change the angle between your nose and your upper lip. It may be performed in conjunction with other procedures to improve breathing. The goal is to improve the nose making it harmonize better with other facial features. The best candidates for rhinoplasty (nose job) are people who are looking for improvement, not perfection, in the way they look. If you're physically healthy, psychologically stable, and realistic in your expectations, you may be a good candidate. Age may also be a consideration. Many surgeons prefer not to operate on teenagers until after they've completed their growth spurt which is around age 14 or 15 for girls, sometimes later for boys. It's important to consider your teenagers' social and emotional adjustment when considering surgery of the nose. In the consultation visit, Dr. Hayes will help parents determine the driving force for undergoing a Rhinoplasty. Good communication between you and your physician is essential. In your initial consultation, Dr. Hayes will ask what you'd like your nose to look like, evaluate the structure of your nose and face, and discuss the possibilities with you. He will also explain the factors that can influence the procedure and the results. These factors include the structure of your nasal bones and cartilage, the shape of your face, the thickness of your skin, your age, and your expectations. Dr. Hayes will also explain the techniques and anesthesia he will use, the type of facility where the surgery will be performed, the risks and costs involved, and any options you may have. Most health insurance policies don't cover purely cosmetic surgery; however, if the procedure is performed for reconstructive purposes, to correct a breathing problem or a marked deformity, the procedure may be covered. After consultation, you can check with your insurer prior to obtain pre-authorization for your surgery. You will want to advise us if you've had any previous nose surgery or an injury to your nose, even if it was many years ago. You should also inform us if you have any allergies or breathing difficulties; if you're taking any medications, vitamins, taking recreational drugs or if you smoke. It is important to ask Dr. Hayes any questions you may have, especially those regarding your expectations and concerns about the results. As a double-board-certified surgeon specializing in both otolaryngology and facial plastic surgery, Dr. Hayes is well known in a 3-state area for his expertise in difficult septorhinoplasty surgeries. A septorhinoplasty is performed to improve nasal airflow and therefore the ability to breathe well through the nose. Many people may have restricted airflow through their noses due to congenital deformities or from a trauma such as a broken nose that was not repaired correctly at the time of injury. 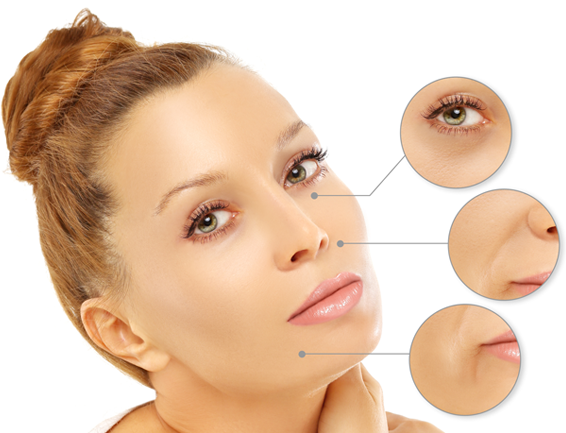 Septorhinoplasty is a difficult surgery requiring skill and experience to achieve the desired results. Some insurance companies will cover this surgery with documented medical necessity. We will give you specific instructions on how to prepare for surgery, including guidelines on eating and drinking, smoking concerns, taking or avoiding certain vitamins and medications, and washing your face. Carefully following these instructions will help your postoperative recovery go more smoothly. While you're making preparations, you will need to arrange for someone to drive you home after the surgery and, if needed, to help you out for a few days afterward. Rhinoplasty may be performed in our state-of-the-art, office-based facility, an outpatient surgery center, or a hospital. It's usually done on an outpatient basis, for cost containment and convenience. Rhinoplasty can be performed under local or general anesthesia, depending on the extent of the procedure and on what you and Dr. Hayes prefer. With local anesthesia, you'll usually be lightly sedated, and your nose and the surrounding area will be numbed; you'll be awake during the surgery, but relaxed and insensitive to pain. With general anesthesia, you'll sleep through the operation. Rhinoplasty usually takes an hour or two, though complicated procedures may take longer. One option may be a "closed" procedure where all the incisions are inside the nostrils. Or you may have an "open" procedure, where a small incision is made across the vertical strip of tissue separating the nostrils. During open surgery the skin of the nose is separated from its supporting framework of bone and cartilage, which is then sculpted to the desired shape. The nature of the sculpting will depend on your problem and your surgeon's preferred technique. Finally, the skin is re-draped over the new framework. When the surgery is complete, a splint will be applied to help your nose maintain its new shape. Nasal packs or soft plastic splints also may be placed inside your nostrils to stabilize the septum, the dividing wall between the air passages. After surgery, particularly during the first 24 hours, your face will feel puffy, your nose may ache, and you may have a dull headache. You can control any discomfort with the pain medication that we prescribe. Plan on staying in bed with your head elevated (except for going to the bathroom) for the first day. A little bleeding is common during the first few days following surgery, and you may continue to feel some stuffiness for several weeks. If you have nasal packing, it will be removed after a few days and you'll feel much more comfortable. By the end of one week, all dressings, splints, and stitches should be removed. You will need to avoid strenuous activity (jogging, swimming, bending or lifting) for two weeks. Avoid contact sports, and any other activity where your nose may be injured for one month. We will schedule regular follow-up visits in the months after surgery to check on the progress of your healing. If you have any unusual symptoms between visits, or any questions about what you can and cannot do, we want you to call us. In the days following surgery, when your face is bruised and swollen, it's easy to forget that you will be looking better soon. Rest assured that this stage will pass. Day by day, your nose will begin to look better and your spirits will improve. Within several weeks you will begin to see how your new nose will look. Healing time after a rhinoplasty is a slow and gradual process. Some subtle swelling may be present for months, especially in the tip. The final results of rhinoplasty may not be apparent for a year or more. It is not unusual to experience some unexpected reactions from family and friends. They may say they don't see a major difference in your nose. Or they may act resentful, especially if you've changed something they view as a family or ethnic trait. If that happens, try to keep in mind why you decided to have this surgery in the first place. If you've met your own goals, then your objective with the surgery is a success.